We did it! 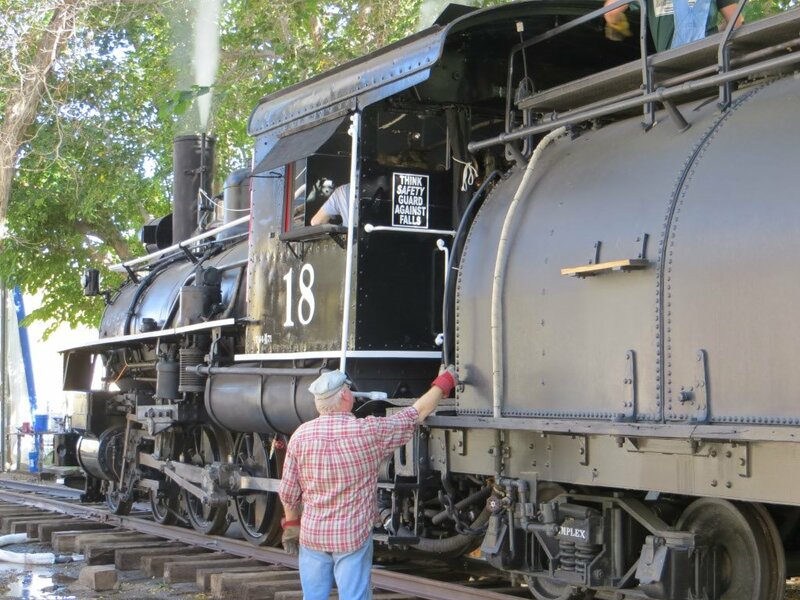 After a six year restoration the #18 is now back in service and operational. 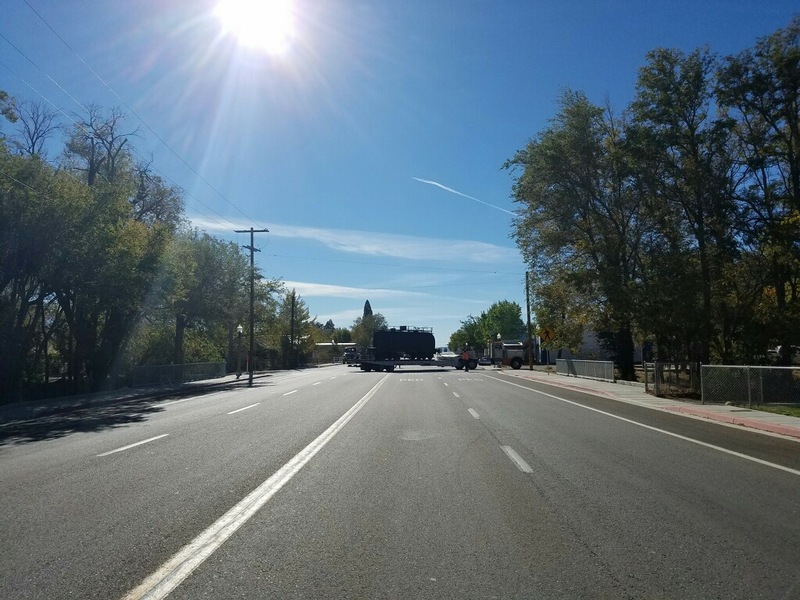 The weekend really started Thursday morning with Millers Towing kindly bringing the tender back to Dehy park. 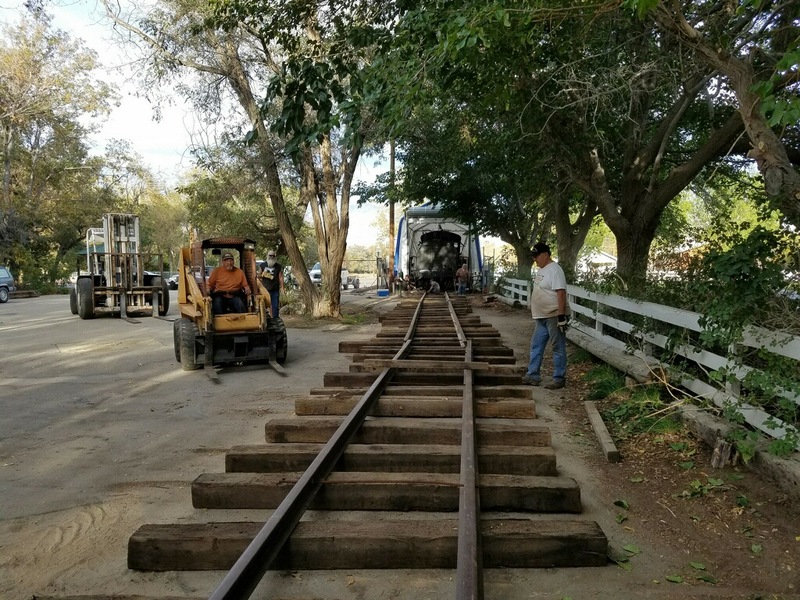 After the tender was hooked back up the track crew went to work and laid down 100 feet of track across the parking lot. 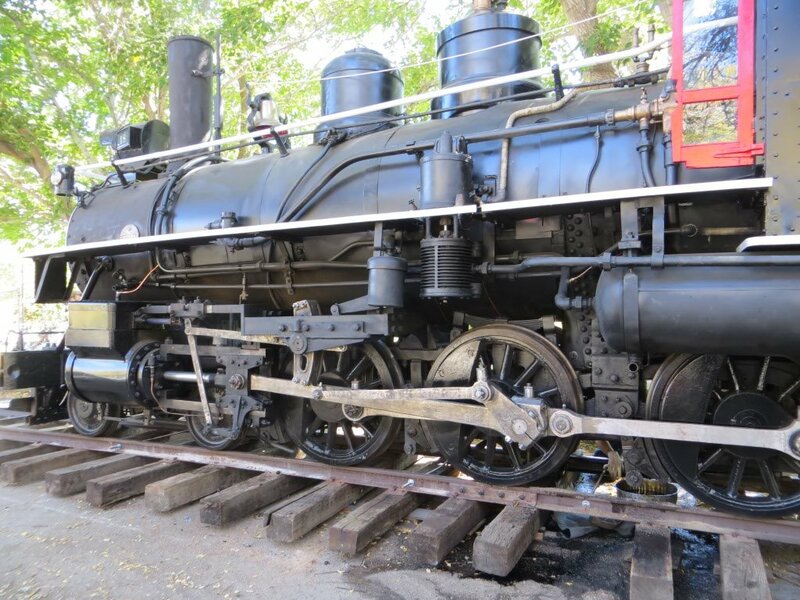 By mid day Friday the track was done and we ran the locomotive out of the tent on air, and again here, in order to fill the boiler, tender, and fuel oil. 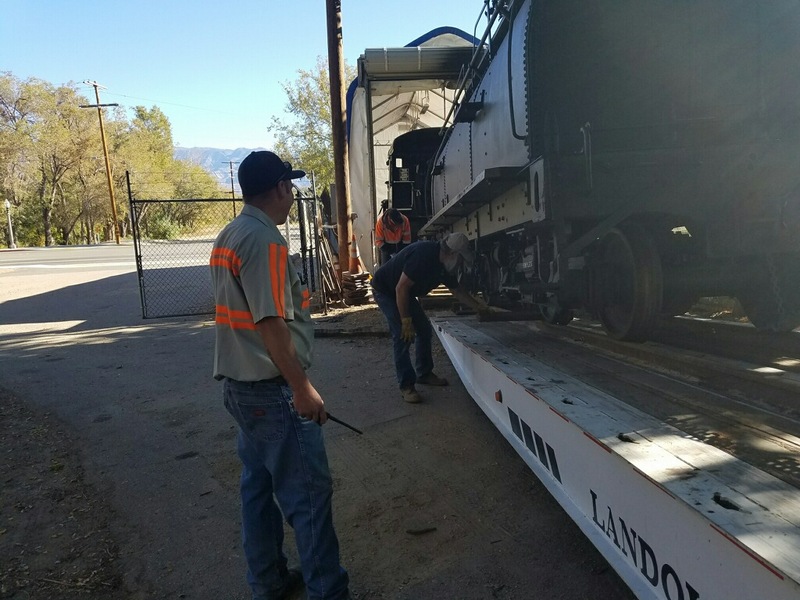 It should also be mentioned that both Thursday and Friday while all the track laying was occurring, the locomotive was also being worked on. 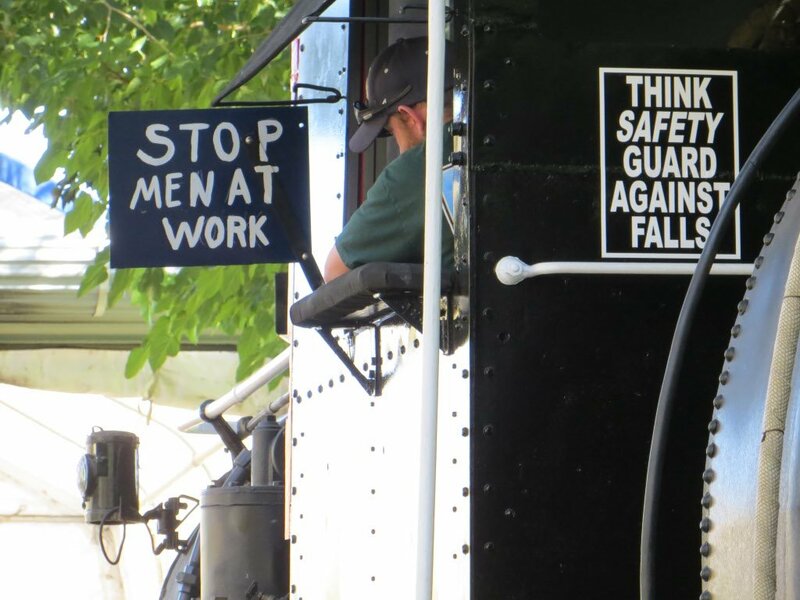 Projects like tightening up the air leaks, and making last minute brackets, and reinstalling the crosshead oil cups were occurring. 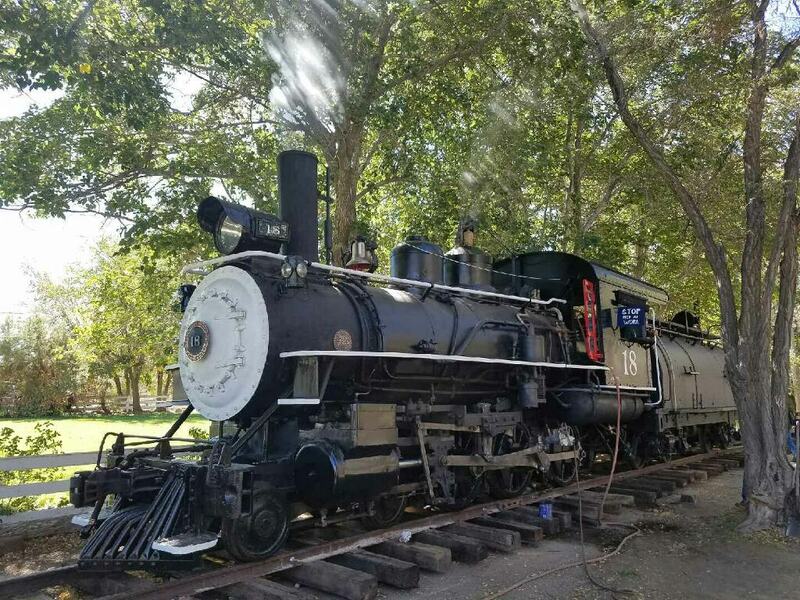 With everything ready to go Saturday, we lit the fire at about 10am and were ready to go about 1:30 and for the first time in 62 years, to the cheers of over 100 people, the #18 moved under its own power. After spending time setting the safety valves, checking the air pump, dynamo, and injectors, we made 21 round trips on our 100 feet of track. Here is one trip from the cab, and another of our president Dave running. 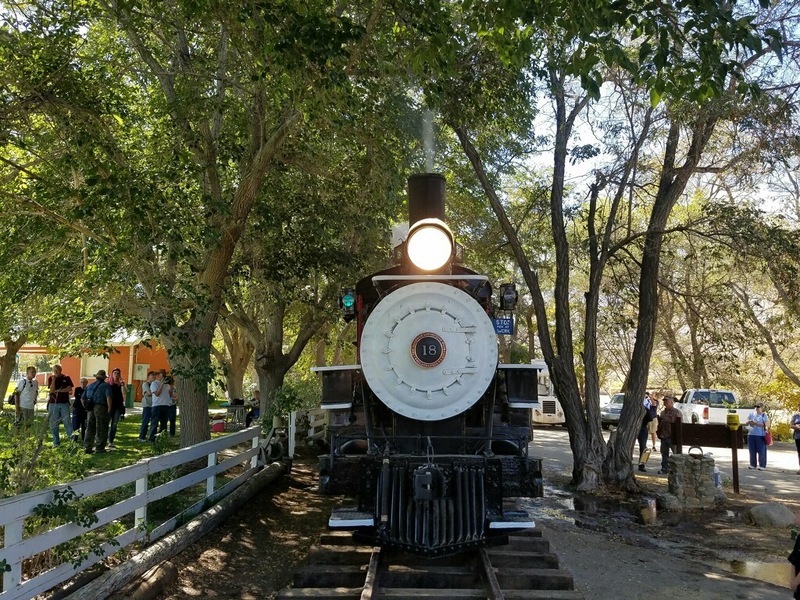 By 5:00 we were all spent and we shut the locomotive down and put her away for the night to attend another wonderful BBQ dinner of trash can tri-tip put on by dozens of our wonderful volunteers. 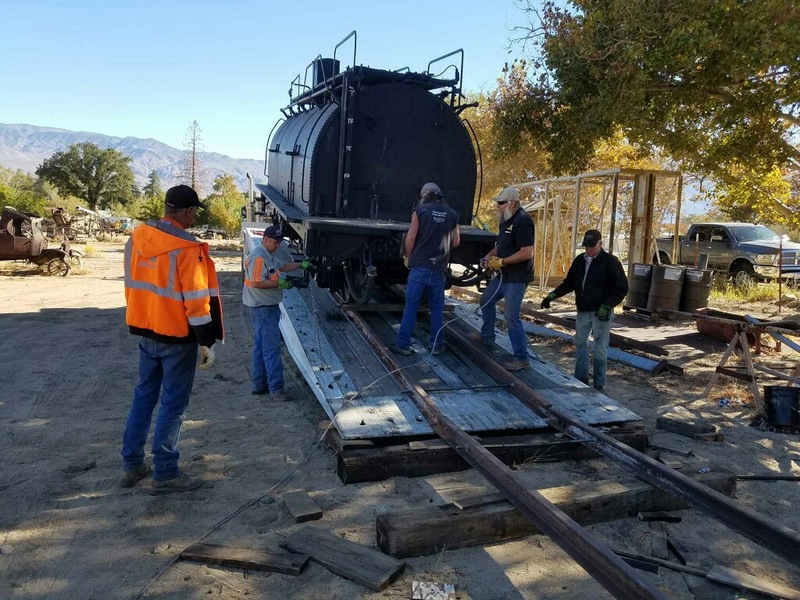 After all that, Sunday we had to pull up our temporary track, drain the locomotive boiler and tender and finally on Tuesday Millers moved the tender back to the museum. All in all we had an amazing weekend, we received almost $10,000 in donations and support that evening from our BBQ dinner, not to mention Millers Towing help and all the other people that contributed, and have contributed over the years to make this all a reality. 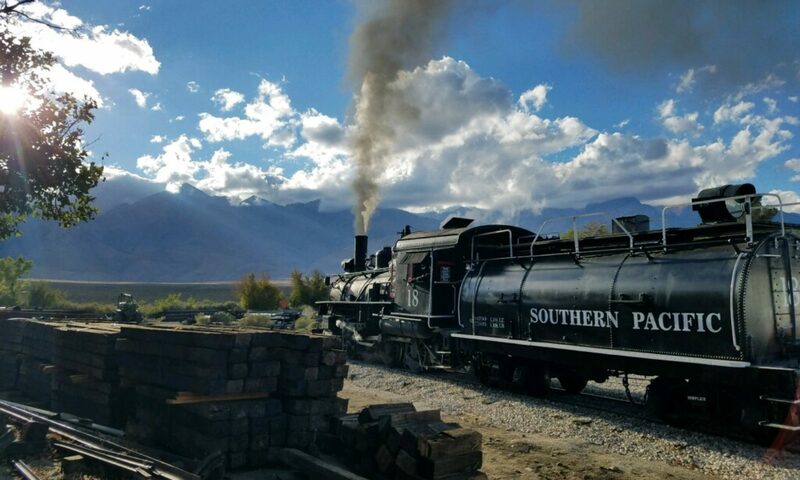 Moving forward, we will have some things to fix and adjust as we fine tune the locomotive. 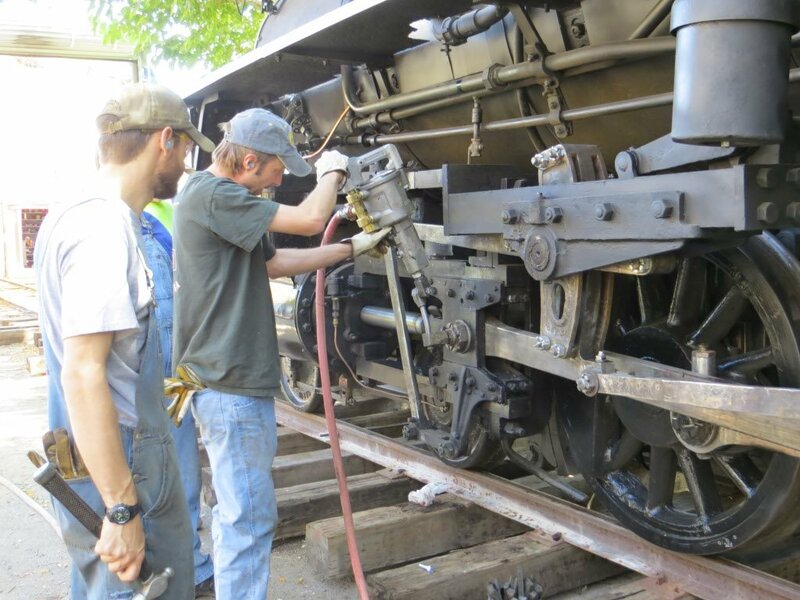 Things like packing, the firemans side injector, air pump governor, finish up chasing air leaks and install the final cab windows and paint the tender. Finally. Check out Ed’s awesome video of the entire restoration condensed into 3 minutes. This is his best video yet!